Live near Milwaukee? Attend a YoungStar forum May 21st or 24th! To register, call 414-247-9908 or email: community@cmredge.com. Please include your name and your 10-digit group center number. 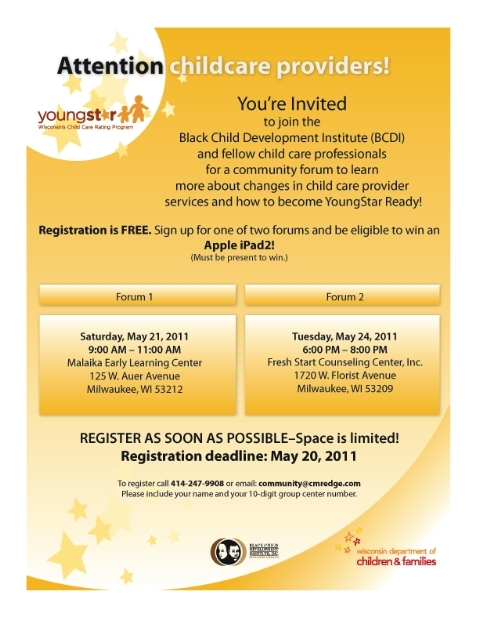 I would like to register for the BCDI(youngstar) forum on Saturday, May 21,2011.